IT’S French, it’s cool and it’s definitely quirky. 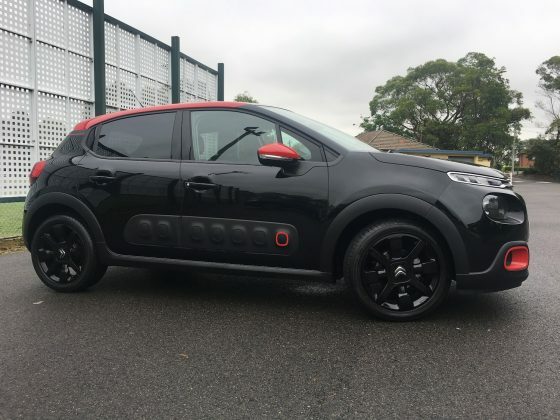 The 2019 Citroen C3 hatch offers style and looks great, whether it’s out and about, or simply parked in the driveway – especially in Perla Nera Black, with red accents. 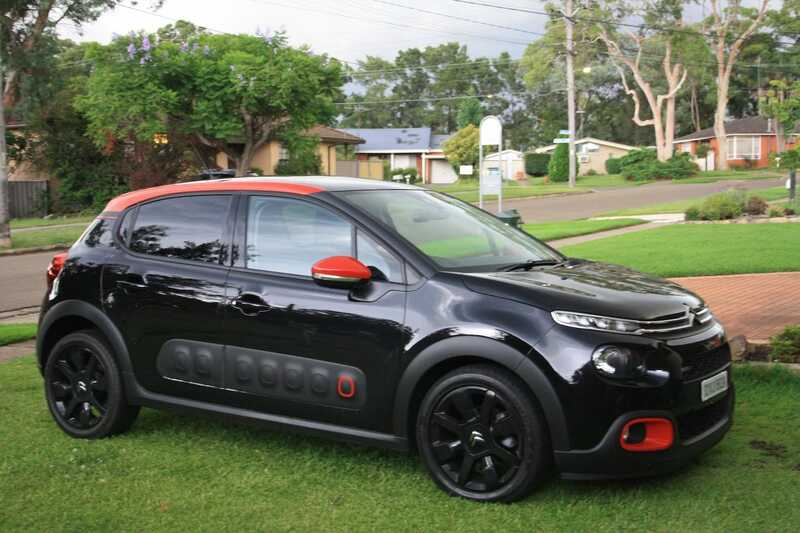 Actually the colour range, which also includes Polar White, Almond Green, Cobalt Blue and Orange Power to name a few, along with the air bump side protection borrowed from the unusual looking Cactus, make the C3 stand out from the crowd. Oh, and it’s also available in Sand, Ruby Red, Aluminium Grey and Platinum Grey, so there’s no shortage of colour choice. Those air bumps provide side protection in car parks from run away trolleys or careless shoppers opening car doors with wild abandon too. 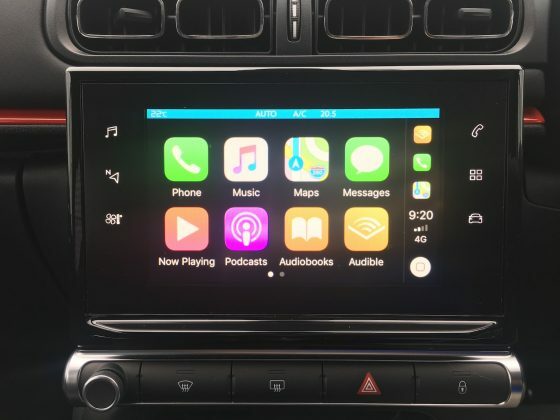 What comes as standard in this car is pretty impressive, and includes daytime running lights, climate control, DAB+ radio, rain-sensing wipers and automatic headlights, and Bluetooth and USB connectivity. Externally, there’s optional black 17-inch alloys to give the car a sporty look as well. The performance of the car is surprising too, especially as it only has three cylinders – that’s right, it’s a three cylinder, offering up 81kW of power and 205Nm of torque. It runs 0-100km/h in 10.3 seconds, which is pretty impressive from the little 1.2-litre power plant under the hood. Even at 110km/h on the freeway, it’s smooth and doesn’t feel or sound like its struggling at all. Fuel economy is a combined 4.0-litres/100km. That astounding economy is thanks in part to the stop/start function, which can be switched off if it drives you mental, via the infotainment system, or what we like to call the command centre. That 7.0-inch touchscreen infotainment system comes bundled with Apple CarPlay, Android Auto and MirrorLink, but more importantly, it comes with SatNav. The sound system is exceptional too. From a safety perspective, the C3 comes with lane departure warning and speed sign recognition, a reversing camera, coffee break alert and rear parking sensors. For the record, it’s got a 4-star ANCAP safety rating, down a star as there’s no autonomous emergency braking. Take it for a spin though and you’ll find it’s just as comfortable on a winding country road as it is a highway, so weekends in the mountains or the country will be a breeze, although the 6-speed auto gearbox is not as smooth as other hatches in this space. It’s mostly because you can hear and feel the gear changes as they happen, which in an odd way is sort of nice as it makes it feel almost like a manual gear change. In normal automatic mode, it will drop to neutral when you come to a complete stop too. In manual mode it doesn’t do this and makes the engine idle feel rough by comparison, but not so rough that we thought it was distracting, if that makes sense. 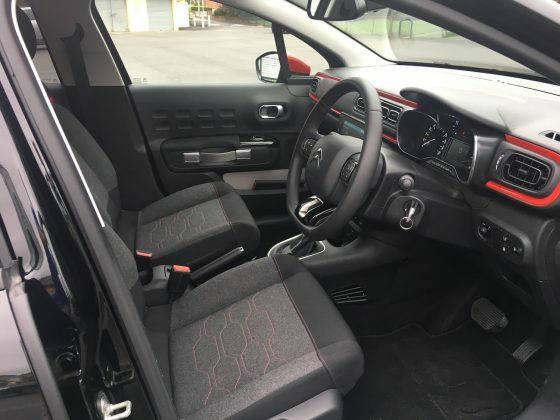 Inside, the interior of the car is well set out, if a little on the minimalist side. There aren’t a lot of confusing switches, dials and knobs and that translates to a clean and easy interior look and feel. The glove box is tiny though and internal storage options are very limited. The drink holders are a little small for things like water bottles. Bottle holders in the doors might be a good inclusion in the next incarnation. The door pockets are quite generous however, and we have to say, the overall quality and comfort of the grey mica cloth interior is brilliant. The seats feel soft and comfortable and are finished off nicely. The dash and doors are nicely done too and easy to take care of. 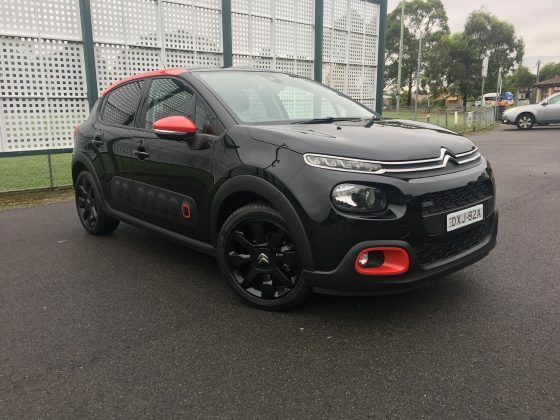 Pricing starts from $23,990 drive away, and the 2019 Citroen C3 comes with a five year warranty and five year’s roadside assist. It comes in a single base spec, the Shine, with a range of optional extras available. Our test vehicle was provided by Citroen Australia. 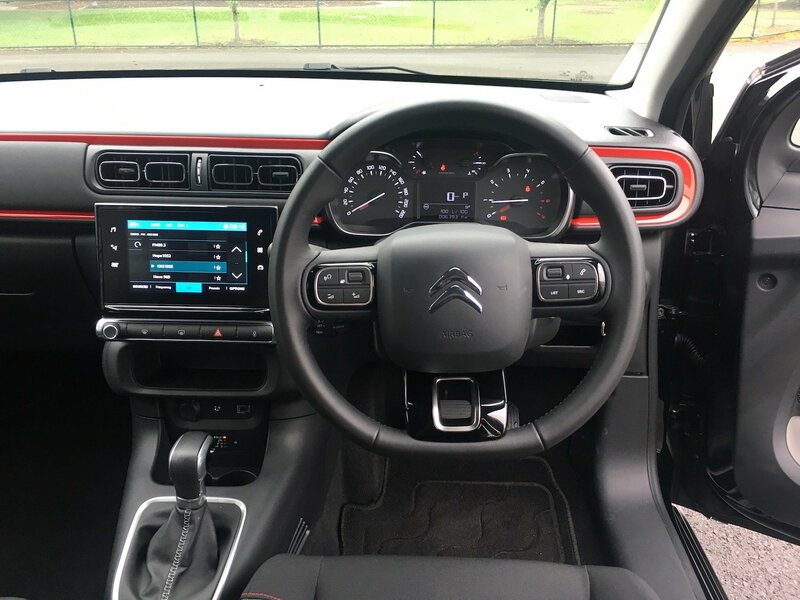 To find out more about the 2019 Citroen C3 Shine, contact our local Citroen dealer. Pros - styling' economical performance; overall comfort. Cons - lack of head room in rear seats; no AEB; limited interior storage.